Nobody likes going to the dentist, but when you are a 400 pound lion it’s especially irritating. The stakes were raised in a dental procedure unlike any other, which recently took place at Kevin Richardson’s Wildlife Sanctuary in South Africa. If you’re unfamiliar, Kevin Richardson is the extraordinary individual who is able to snuggle with the huge carnivores because he raised them from infants. Richardson has an innate bond with these animals that has earned him the nickname of Lion Whisperer. 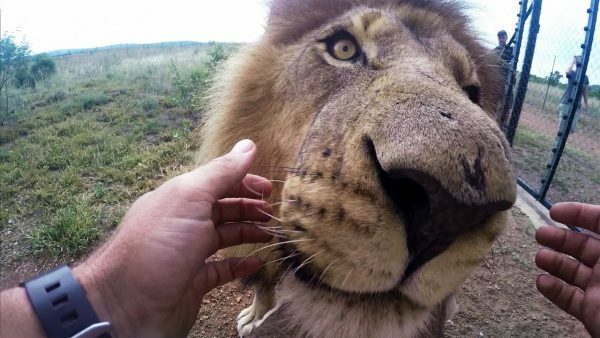 Recently he took a GoPro film crew along as he and his team performed dental procedures on around 20 animals, among them lions, leopards and hyenas. After successfully performing dental surgery on a lion named Aslan in 2014, Richardson showed that dental health was crucial to the overall health of the lion. “If we’ve got the ability to make their lives better by fixing their teeth, then why not?” Richardson said. Watch the episode below and find out how they made it happen. next articleDid This Goat Help Lift Curse on Chicago Cubs?